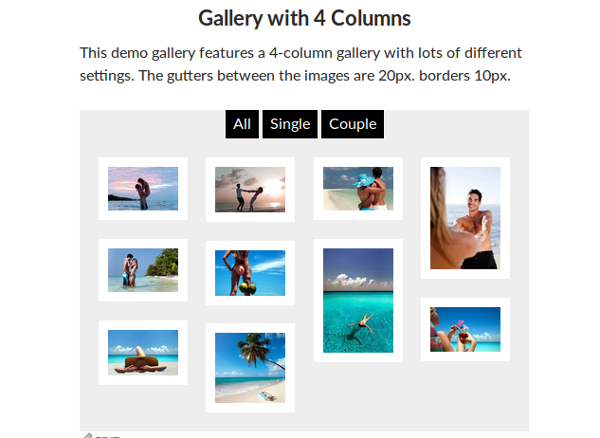 This plugin has been created to display beautiful and functional filterable masonry grid galleries with minimum configuration effort and without slowing down your page load. You can change spacings, frames, colors, etc. 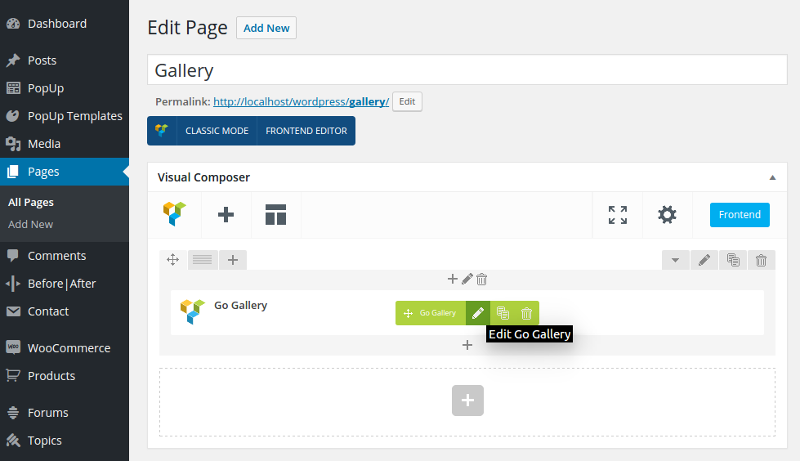 Unlimited number of galleries with different settings can be used on any page or in posts. 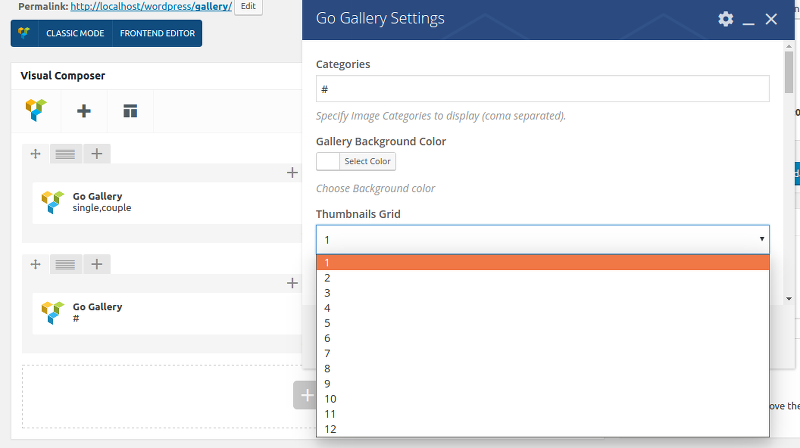 GoGallery enables categories in media images and adds filter menu to each gallery for easy and beautiful sorting. GoGallery is optimized for speed. Configuration is fast and simple. We have added plenty of new visual effects, check it out! Media Categories – Unlike most others Go Gallery let you organize standard Media Library images into categories. 100% Responsive Masonry Grid – 1-12 columns!